Holiday apartment for up to 4 people , situated in the 18-hole golf course in Lomas de Campoamor, near Torrevieja at the Spanish Costa Blanca. Nice and modern furnished holiday apartment, directly by the Real golf club of Campoamor and ideally for all golf and sports lovers. The complex of building is situated directly beside the golf hotel and the golf club house, and the communal installations can be used like tennis courts, indoor swimming pool, fitness center, squash, football field, basketball field and volleyball field. Different shops, restaurants, bars and banks can be reached by a short walk. The building has several floors, every floor can be reached with the lift. All apartments are offering views to the golf course and partially on the surrounding mountains (and some) the sea. The Costa of Orihuela includes La Zenia, Cabo Roig, Dehese de Campoamor, San miguel de Salinas, Villamartin, Pilar de Campoverder, Los Dolses, La fuente and Los Montesinos. This grouping of urbanization south-west of Torrevieja makes a lovely seaside and golfing area. The town of Orihuela is nearly 20 kilometers from the actual coast. The most important, Orihuela Costa has beautiful beaches and is ideal to go with the family. Its becoming one of the hotspots of the Costa Blanca. At the countryside there is also a great choice for golfing, in fact Orihuela Costa is well equipped for all needs and demands. With lots of facilities and leisure attractions. Because the Coastline of the Orihuela Costa stretches over a more than 16 km. Since years, the Beaches are popular among the Spanish people. They are coming from Madrid, Orihuela and mainland Spain. Recently more European visitors have also discovered these lovely and beautiful beaches. Now, every Beach of Orihuela Costa is certified with its Blue Flag. In other words, this label stands for the clearest water and properly maintained beaches. In fact, with over 14 sandy, sunny beaches this region offers a wide range of choice. The best known and biggest beaches are La Zenia and Campoamor. On both beaches there are beach bars or restaurants. In fact, Alicante airport is 45 minutes drive. And the airport of Murcia /San-Javier is 30 minutes drive. La Zenia Boulevard Shopping Centre is the new shopping mall at the Orihuela Costa. Then, it is the biggest shopping center of the province of Alicante. 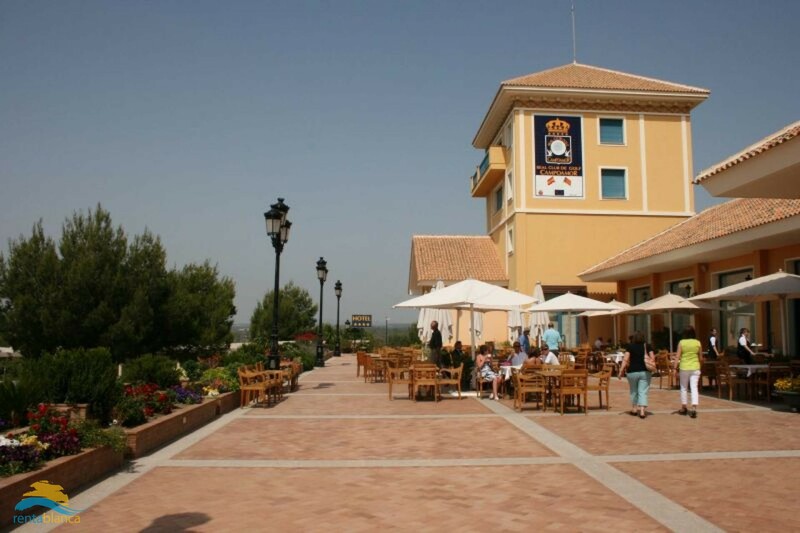 Indeed, La Zenia Boulevard occupies 161.000 square meters and has about 150 shops.